The Olympic torch lighting of the ceremonial flame for the 2020 Summer Olympic Games will be lit on March 11th, 2020, IOC president Thomas Bach announced this week. This date has special significance for the Japanese people, as it marks the 9th anniversary of the Tohoku earthquake which caused a massive tsnumani. Together, the two killed at least 15,896 people, with an additional 2,537 still considered missing as of a March 2018 update from the Japanese National Police Agency. 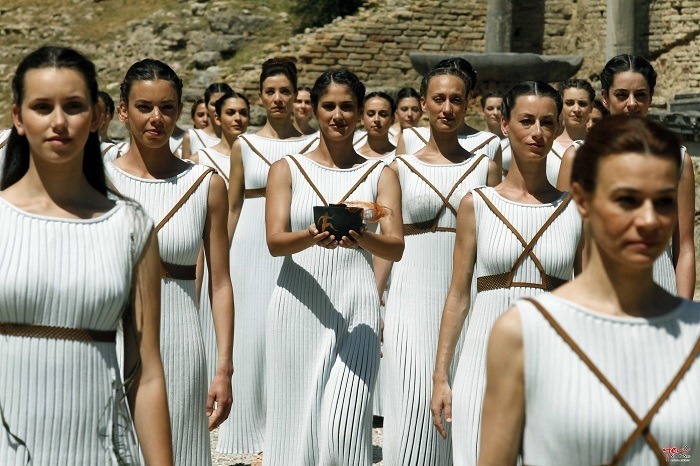 The flame will be lit in an elaborate ceremony in Olympia, Greece via the light of the sun, as is tradition. It will then be passed on to the official first torch-bearer, who has not yet been announced but will likely be Japanese, and transported around Greece before being sent to Japan. The torch relay has no basis in the ancient Olympic Games, and was first introduced by Carl Diem for the 1936 Summer Olympics in Berlin. In 2004 and 2008, the torch was transported on ‘global relays,’ hitting hundreds of countries around the world, but because it was met with widespread protests, the IOC announced in 2009 that future torch relays would jump from Greece to the host country. The Japanese tour will begin on March 26th in Fukushima, another symbolic choice. Fukushima is where a nuclear reactor meltdown related to the earthquake and tsunami became a hallmark of the overall disaster. On Wednesday, the Japanese government acknowledged the first death related to radiation from the Fukushima plant (though some, including Forbes contributor James Conca, believe that the death acknowledged was for political purposes more than as a result of good science). The full path is expected to be announced in 2019. The 2020 Olympic Games will run from July 24th-August 9th in Tokyo, where over 11,000 athletes will compete in 33 sports and 50 disciplines. The indoor volleyball tournaments will run from August 25th through September 9th, effectively the full length of the Olympics, while the beach tournament ends a day earlier on September 4th.